A busy and exciting day in Mumbai today saw the Indian Super League (ISL) franchises spend a fortune, drafting suitable players to create an appropriate squad for the fourth edition tournament. 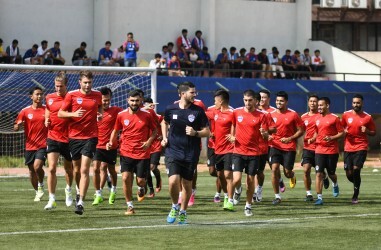 The founding eight sides were joined by two brand new franchises Bengaluru FC and Jamshedpur FC in the draft, all of whom put in commendable work to secure the signatures of their respective players as the football community watched clearly. The draft cleared the smokescreen on the destination of players, making some of them richer by a margin in the process. 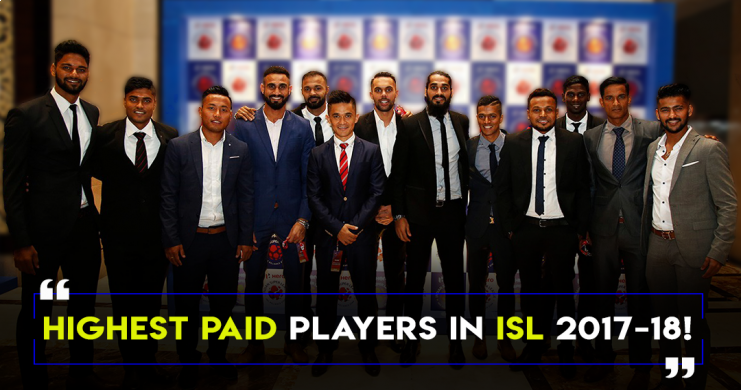 In this article, Khel Now takes a look at the top 10 most expensive Indian players who will be plying their trade in this season’s competition. Though Singh played for Chennaiyin FC in the inaugural and the second season of the ISL, he remained absent last year due to an injury. With proper rehabilitation at Mohun Bagan, the former JCT striker came back to his usual form to enter the ISL draft at the end of the season with the Kolkata based club. The former Chennaiyin striker was drafted by Mumbai City FC and will be paid a handsome amount of ₹65 lacs every year by his new employers. One of the few exciting Indian full-backs of this generation, Kotal entered the draft after Sourav Ganguly co-owned franchise Atletico De Kolkata decided against retaining him for this year’s ISL. However, he was picked up by Delhi Dynamos in the draft and will make ₹75 lacs every season playing for them. The Bengali defender has also played for FC Pune City in the past and was an important part of the ATK squad that won the title last year. Kotal, who plays primarily as a right-back, has been termed as one of the best full-backs in the country as of late and will form an integral part of Miguel Angel Portugal‘s squad this season. Fondly nicknamed ‘Spiderman’ by the fans, Paul is the first goalkeeper to feature in the top 10 most expensive players in ISL list. The experienced goalkeeper entered the draft after ISL side Northeast United FC decided to retain Rehenesh TP as their first choice keeper ahead of the former East Bengal and DSK Shivajians man. This move resulted in the 30-year-old entering the draft where Jamshedpur FC made no mistake to pick him up early. 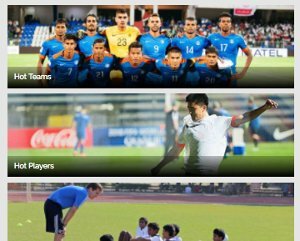 The Sodpur-born keeper has already played for Mumbai City and Northeast United FC in the ISL, and his newest contract with the ISL newcomers will see him pocket ₹87 lacs every season which is the second highest salary for an Indian goalkeeper, only to be rivalled by Mumbai City FC’s Amrinder Singh in the tournament. One of the crown jewels of Bengaluru FC in the previous season of the I-League, Vineeth was retained by Kerala Blasters for the upcoming ISL season. The 29-year-old had an impressive outing with the Federation Cup champions last season. His series of performances had not gone unnoticed and he was finally rewarded with a deal of ₹1 Crore a season by the Kerala franchise. A fan favourite among the Blasters’ fan base, the winger has clearly been in the prime of his career lately, which makes him a threat to reckon with for the defenders in the tournament. A consistent performer for the capital side Delhi Dynamos, Anas Edathodika is set to pocket ₹1.10 crore, the same as Eugeneson Lyngdoh of ATK. 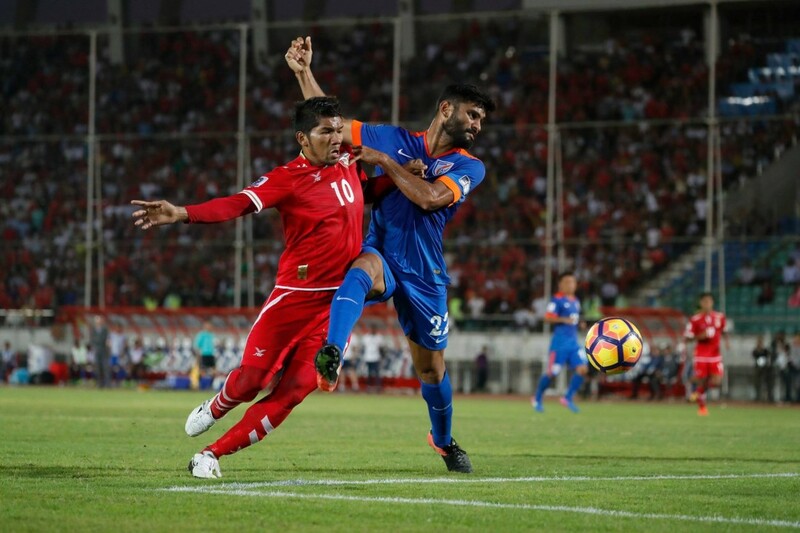 The Dynamos tried to get a hold of Edathodika to retain him for the upcoming season but due to a breakdown in negotiations, the 30-year-old opted not to extend his contract with the Delhi-based franchise and to enter the draft. Being one of the most dependable defensive figures in the country, it was not surprising that he was the first pick of the draft and went to Jamshedpur FC. One of the most well-known Indian midfielders of this generation, the 30-years-old entered the draft when his former employers Bengaluru FC did not retain him in their first season in the tournament. The draft saw ATK to pick him up in their very first bid which will see the former Bengaluru FC hotshot earn a staggering salary of ₹1.1 crore every year with his new employers. The midfielder has already played in the ISL for Maharashtra based side FC Pune City but was unable to clinch the trophy. 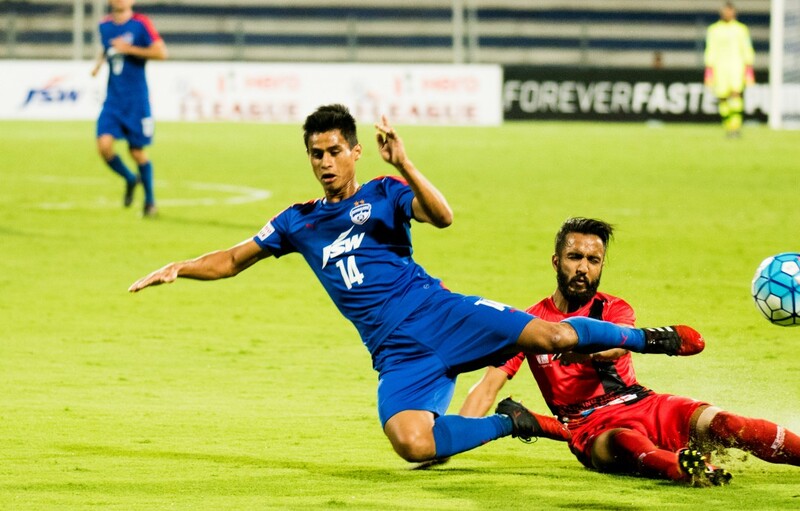 However, with new teammates and a new management at the helm of his new side ATK, it will be exciting to see Lyngdoh perform in the fourth edition of the tournament. 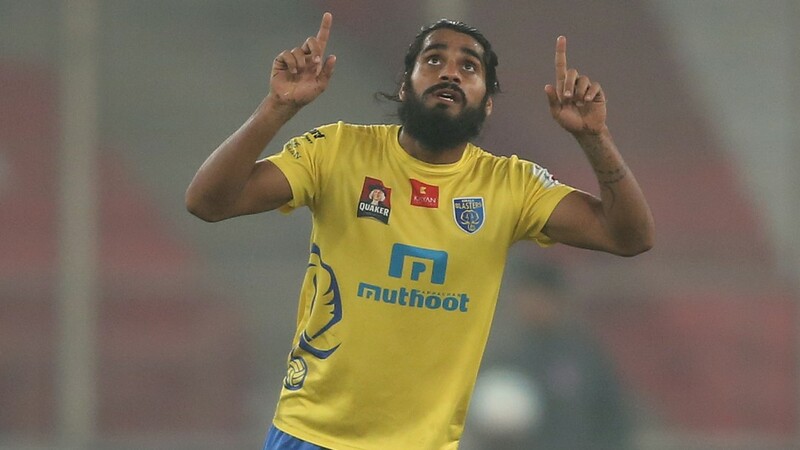 A regular starter for the Indian national team, Sandesh Jhingan was the other player to be retained by Kerala Blasters for the 2017 edition of the ISL. The Punjab born defender has been rock solid at the back last season and has also contributed in attacking runs and setting up diagonals for the forwards upfront. With his performances for the national team and Bengaluru FC in the previous season, the Sachin Tendulkar owned franchise did not waste any time and signed him with a mouthwatering ₹1.2 crores deal every year, making him the most expensive Indian defender of the ISL in the process. The second goalkeeper in the list, Amrinder Singh is set to become the highest paid shot-stopper in the ISL after Mumbai City FC successfully retained him to be a part of their squad for the forthcoming season. The 24-years-old will be paid a whopping sum of ₹1.20 crore a season which remains the highest salary for an Indian goalkeeper since the beginning of the tournament in 2014. The Punjab lad has won the ISL title once. However, it is yet to be seen if he can replicate such a feat with the Mumbai franchise this year. The former AIFF Player of the Year, Jeje Lalpekhlua has pocketed one of the most lucrative deals in the ISL. 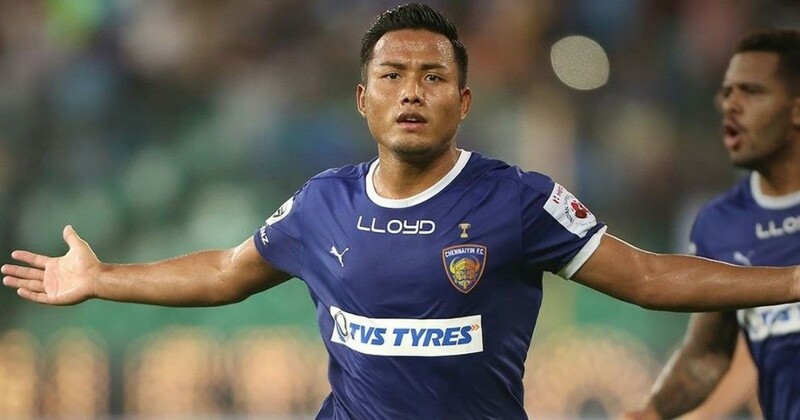 The Mizo striker will be paid ₹1.3 crore a season by Chennaiyin FC after the Tamil Nadu based franchise decided in favour of retaining him for the upcoming season. The former Mohun Bagan striker is being labelled as the successor to Indian skipper Sunil Chhetri upfront, but it is yet to be seen if the 26-year-old can replicate the Indian skipper’s influence in his side. The most scoring player in every season since the establishment of Bengaluru FC as a football club, the JSW Group owned side did not think twice before retaining him for their very first season in the ISL. 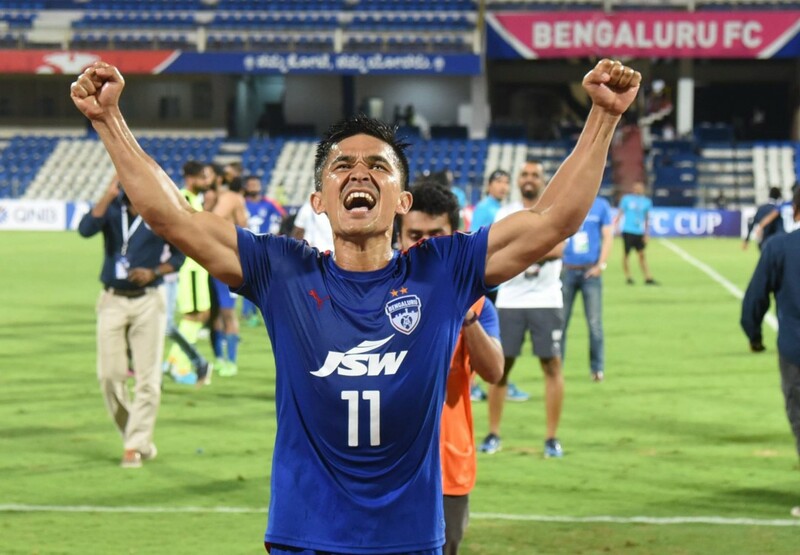 Chhetri is set to receive a whopping salary of ₹1.5 crore every year after he penned down a contract with the Blues. 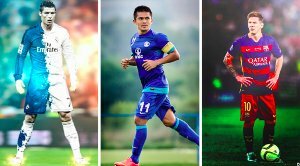 The skipper of both his national and club side, Chhetri is also the most expensive Indian player in the ISL.